Here are a couple of birthday cards that I made recently using the Cricut cartridge "A Child's Year" (currently my favorite). 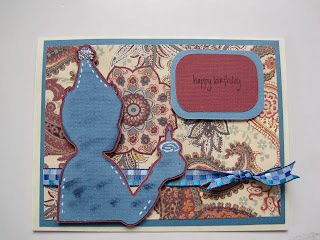 The colors and paisley pattern help to make this card fairly masculine! 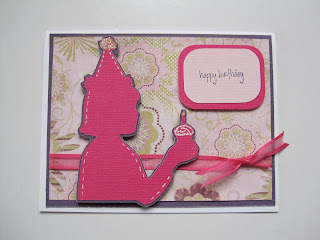 And pink is always right for the more feminine card. 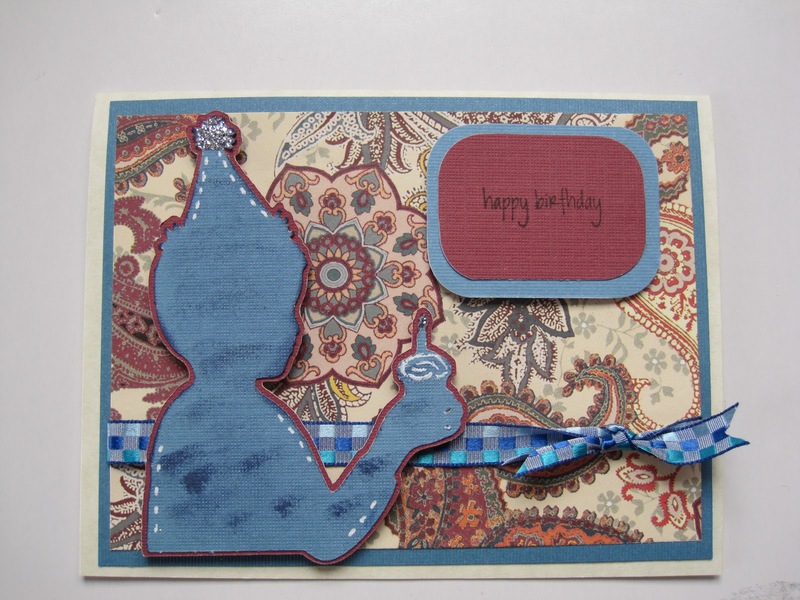 I also layered a couple of pieces of coordinating card stock inside the card and placed a strip of patterned paper off to the the side to "dress it up". So so cute!!! Love that pattern. The paper that you have used is perfect! You are so talented! Love those! The layering really adds to them.